SEO is a part of SEM – that is, Search Engine Marketing. Just like traditional marketing, the aim with SEO is to generate business, the only difference is Search Engine Optimisation is a long(er) term process. Unlike traditional marketing where you pay to place your ad in a newspaper (for example), with SEO you are playing the long game – valuable and essentially ‘free’ traffic that increases your ROI over time when done right. SEO, short for Search Engine Optimisation, is the method of ‘optimising’ your site so that you can be visible in search engines like Google, Bing, and Yahoo to rank for keywords and keyphrases which will bring you valuable visitors. SEO is known as generating ‘organic’ traffic sometimes referred to as ‘free’ traffic – as unlike Adwords/PPC, you don’t pay for visitors to go to your website from the Search Engine Results Page (SERPs). 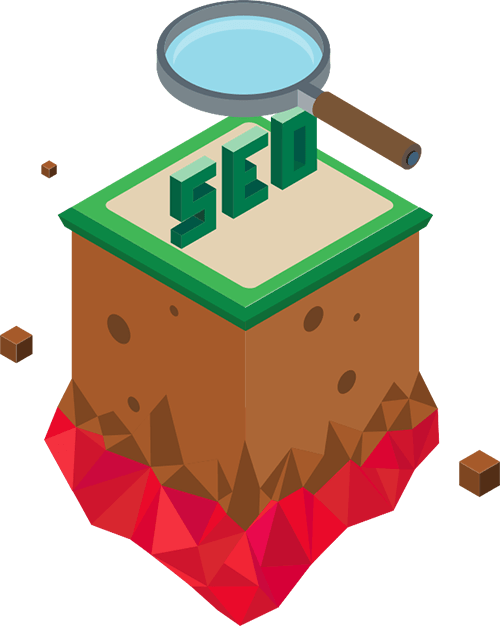 The big buzzword in Search Engine Optimisation which all SEO companies (and pesky SEO ‘consultants’) throws around is Rankings. Too many agencies throw around the promise of a #1 Keyword Ranking guarantee before knowing anything about your business, your website, or even your industry. That’s a recipe for disaster. The purpose of Search Engine Optimisation is to rank your website for non-branded search terms to supplement your brand marketing strategy so that you get the right type of visitors which will lead to qualified leads/sales. Digital Meal offers you in-depth keyword research, planning, and implementation to rank you for the keywords that will get you the visitors you want, not a whole bunch of meaningless #1 keywords that will lead to unqualified leads and hurt your branding in the long run. Here at Digital Meal, we quote your SEO services on based off your Return On Investment, not on the number of keywords. We only care about one thing – to boost your visibility for online growth and generate revenue – not to rank #1 for low value keywords. Just like in every industry, there are always shady professionals that will try and scam you for a quick buck. SEO has proven value and is definitely a must-have in your overall digital marketing strategy, but there are some out there that are impatient and want to take the ‘easy route’. Unfortunately, if not done right, the ‘microwave approach’ (known as black hat SEO) can sometimes land you with a penalty. A penalty is the aftereffect of having Google’s ever-changing algorithm penalizing your website for not following their guidelines. In some cases where an agency lands a site with a manual penalty due to shady tactics, it can take a very long and expensive journey to try and get back into Google’s good graces. Meanwhile, with no visibility in search engines, you’ve just lost [insert an enormous number] of lost traffic and, you guessed it – lost sales. Digital Meal can help businesses that have been burned by bad Search Engine Optimisation practices and slapped with a penalty, as well as having our own No Penalty Guarantee. Our SEO quotes are always customised to YOUR business, not a generic run-of-the-mill contract. If you want to get started and have Digital Meal explain how you can reach more people, get more visitors and generate sales from Search Engine Optimisation – Contact us today!